The important differences between film and digital photography. Numerous film cameras, as well as how to buy a good second-hand camera. film formats, from 35mm to medium format (120mm) and large format. Exposure settings, tonal values, and tonal representations in different types of film, from color negatives and slides to the enormous spectrum of black-and-white films. Scanning negatives to bring your film into a digital workflow. Working in such an “analog” medium requires a unique approach to photography, and it fosters a completely different form of creativity. 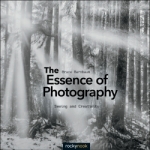 Working in film can also prove to be a great inspiration for your own digital photography, as well. 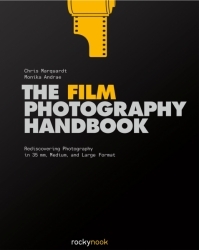 The Film Photography Handbook covers it all, from the technical to the creative, and will have you shooting film in no time, whether it’s with an old rangefinder, a collectible Holga, or a medium-format Rolleiflex or Hasselblad.